Twisted tuna casserole is moist, rich, flavorful comfort food with a sauce made from scratch and a tasty, crunchy topping. Now with Gluten Free Instructions! Dave loves all noodly comfort food casseroles like my Chicken noodle Casserole, King Ranch chicken and Chicken Mornay casseroles. I love them because they are easy to make and my guy loves them! Today I have tuna in the pantry. That calls for Twisted Tuna Casserole. 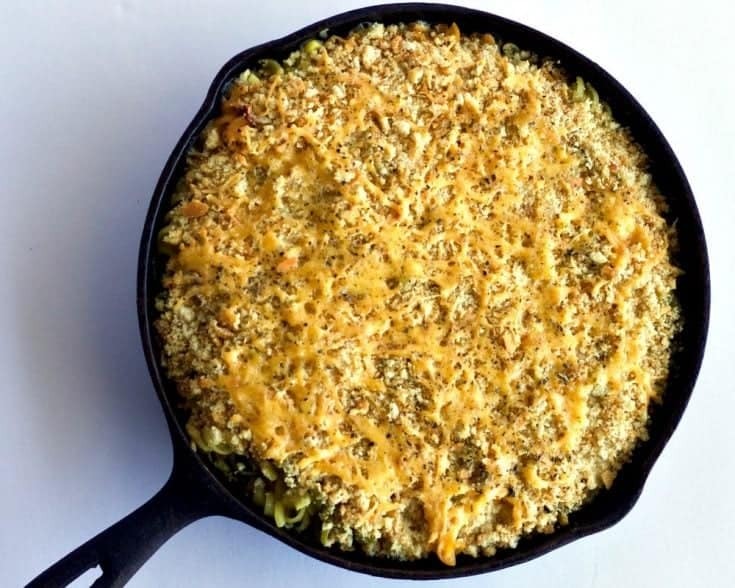 Twisted Tuna Casserole Recipe is chock full of moist rich flavorful yumminess. Perfect easy weeknight dinner for the family. I ‘twisted’ my original recipe for this old family favorite Tuna casserole. I ditched the cans and created this new version all from scratch. This version is lower carb and lower, healthier fat too. We love it! It hardly takes any longer to make this ‘from scratch’ version. 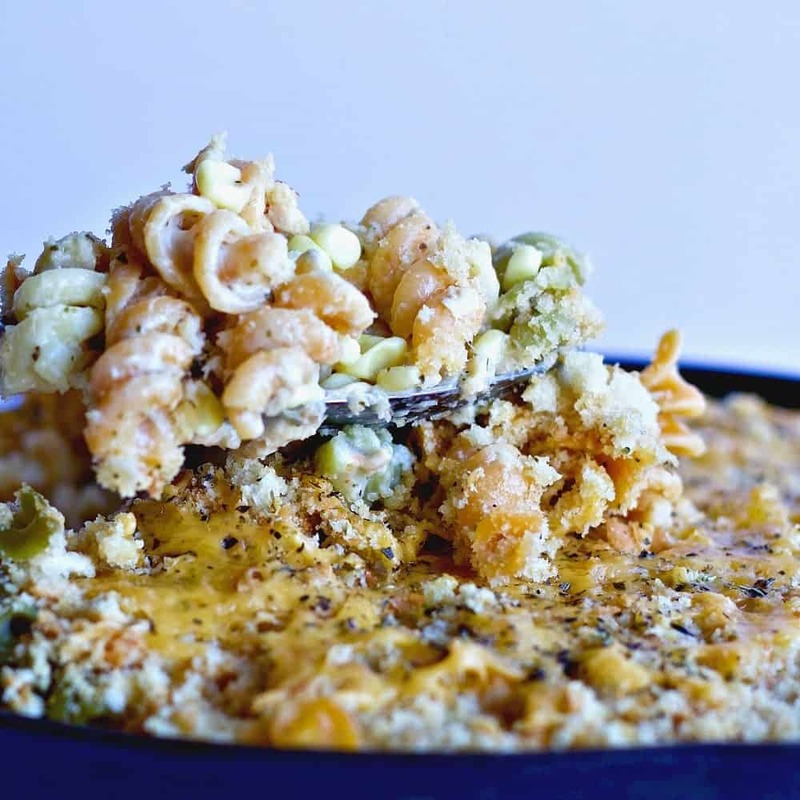 Twisted Tuna Casserole recipe puts you in the driver’s seat. Need low carb? Use quinoa noodles or any low carb noodle. Need lower fat? use a lower fat cheese (or omit the cheese). At the bottom of this post I’ve added a gluten free option for you from a reader of Homemade Food Junkie. Any way you make it this is a good recipe. It’s easily adjusted to your families tastes and nutritional needs! Dave loves warm, creamy casseroles with crunchy tops and lots of flavor. In fact, we all love this casserole. So I invited the kids over for dinner and made a double batch. I froze some for later. This recipe makes a really great freezer meal. It’s easy to double so make an extra for the freezer. Wrap it up tight so it can last a month or so in your freezer without a problem. To serve. Completely defrost before baking as directed in the recipe. To bake frozen: Add 1/2 Cup water(or milk) over the topping and keep tightly wrapped with foil while baking. Add about an extra 30 minutes to the baking time. Serve when bubbling. Making this recipe from scratch allows you to personalize the recipe. I really like a moist tuna casserole with lots of flavor. Not interested in boring or dry. I used to hate tuna casserole. I jazzed this one up so it’s much moister and has that nice crunchy top. Love it! Decide which seasonings you prefer and jump in to this recipe. This is our favorite Tuna Casserole ever. We would LOVE for you to let us know how this recipe works for you. Saute’ the veggies first. I use Avocado oil for high heat cooking in most recipes now a days. Avocado oil is an excellent, heart healthy high heat oil and I hope you will use it too. While the noodles are cooking, and your veggies are simmering, make your white sauce. I love making my own sauces. It’s so easy to adjust the consistency of the sauce and play with the seasonings to get your own, individual stamp on it. Whisk in some butter and spices. Heat it to a boil and when it gets thick, slowly add milk or chicken broth. whisk away until it smoothes and thickens to your desired consistency. This sauce is Very easy and very fast to make. Just watch it so it doesn’t scorch! Add the white sauce and stir it up. Drain the noodles and add the sauce and veggies. Pour the Homemade white Sauce over the noodles. Put it in a casserole dish. Shred your cheese and crush the croutons. The croutons are a must for this delicious, crunchy crust. After your casserole filling is in your ovenproof dish, spread the cheese on top ( I chose to mix a little into the casserole too this time). Sprinkle the crushed croutons over the cheese and, finally, pour some lowfat milk on the top, about 1/2 cup to add a bit of steam and moisture into the crust without adding more butterfat. This casserole has a lot of fat so I’m slimming it down a bit this way and it tastes great too! Twisted Tuna Casserole ready to bake. Look at the topping. Crushed Foccacia croutons make an excellent casserole topping. I’ve been using them for years. Now bake it! Easy as can be and healthier than the old soup can version. Twisted Tuna Casserole with spiral ribbon noodles. Use any noodle you like! 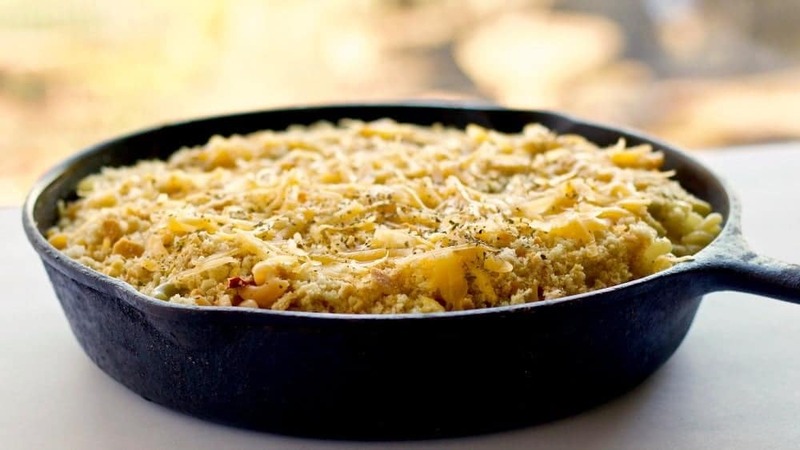 Baked to perfection with a golden brown cheesy, crunchy, crust and a moist noodly center. Full of flavor and nutrients! Enjoy! Please rate this recipe and share your experiences. That’s how we found the gluten free option that works so well. Our Reader friend Angie shared. 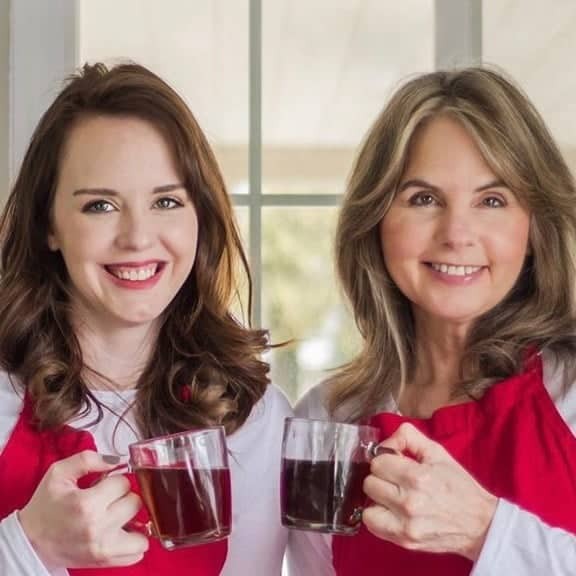 We are so excited to find new information and versions of our recipes that work for special needs or just make you happy. Thanks to Angie Anderson, one of our readers, we have a gluten free option for this recipe. Thanks Angie! and gluten-free breadcrumbs for the topping. Thank you Angie for taking the time to let us know how you made this recipe gluten free! Twisted tuna casserole is moist, rich, flavorful comfort food with a white sauce made from scratch and a tasty, crunchy topping. Now with Gluten Free Instructions! 1 8 ounce package uncooked quinoa or Gluten free or lower carb option, egg or other noodles. seasonings for the white sauce-to taste, tonight I used dried Ranch dressing seasonings, Garlic or....what do you like? Oil a 1 1/2 qt. baking dish with 1 tablespoon coconut oil. Bring a large pot of lightly salted water to a boil. Add noodles, and one tablespoon oil; cook for 8 to 10 minutes, until al dente, and drain. Melt 2 tablespoons coconut oil in a skillet over medium-low heat. Stir in the onion, pepper, celery, and garlic, and cook 5 minutes, until tender. Continue to cook and stir until most of the liquid has evaporated. Then turn it off and let it rest on the stove as you do the next steps. Melt butter,(be SURE to use butter in the white sauce, I tried coconut oil and it will NOT work) in a medium saucepan, and whisk in flour, until smooth. Gradually whisk in milk, and continue cooking 5 minutes, until sauce is smooth and slightly thickened. Season with salt, pepper and your other favorite seasonings(try basil or a little oregano). Stir together tuna, peas or corn, veggie mixture, and cooked noodles. Transfer to the baking dish. Top with cheese, and crushed croutons. Pour 1/2 cup milk, evenly over the top of the casserole. Bake 25 minutes in the preheated oven, covered, until bubbly and lightly browned.For a larger casserole(if you double it), add ten minutes, but keep a watch on it. This looks like a great recipe but I am finding it hard to read it through all the ads and photos… do you have a printable version? We certainly do have a printable recipe card at the bottom of this post. If you scroll past the recipe tutorial and nutritional information you will find the printable recipe card. I hope you enjoy this meal.